Not everyone can be a foster parent. I understand that. It has been the hardest thing I have ever done, while at the same time, the most important and rewarding thing I have done, as well. Yet, everyone can help in some way, and there are ways you can help a child in need. With roughly 450,000 children in foster care today, there are children who are in need of a helping hand right now. There is a child, right now, who needs your help. Let’s look at 10 ways you can help a child in foster care without being a foster parent. Perhaps the biggest impact one can make with those children placed in foster care is to become an advocate of change. Do your research, and find out as much about foster care and foster children as you can. Then By contacting lawmakers, politicians, and publicity agents through means of emails, letters, phone calls, and other means of communication, you can then bring attention to the needs of these young adults who are facing a series of challenges after leaving the foster care system. Along with this, can also write editorial letters, post information on social media websites, etc. When you lobby for change, new laws can be introduced, and information can be brought forward to the general public. As many aged out foster youth cannot afford school, assistance in this manner is most helpful. Communities can begin a foster scholarship fund, setting up a college fund for those foster children wishing to further their education. Supplies for school can be donated to local foster care agencies who work with children who will soon age out. These supplies can include paper, pencils, pens, calculators, backpacks, and other school needs. For those who are enrolled in college, bookstore gift cards and certificates can also be quite beneficial. Each year, between 20,000 to 25,000 foster children age out of the system and attempt to begin life on their own. Of the 500,000 children in care in the United States each year, this is a large number and disturbing percentage. For many foster children, foster care is a temporary service before returning home to a parent, moving in with a biological family member, or even beginning a new life in an adopted home. Yet, for thousands who do not find reunification with family in their lives, reaching 18 years of age can be a tremendously frightening experience. For others, 21 is the year where they may find themselves no longer part of the foster care system, depending upon the state the foster children reside in. Sadly, so many children are placed into foster care with just the clothes on their back, or with very little to call their own. There are many foster care closets across the nation; volunteer organizations that gives new, donated clothing to foster children in the area. These programs allows foster parents’ money to go further, because often the stipend they receive for fostering is not enough. For many children in foster care, it may be the first time they have ever received a brand new set of clothing to call their very own. When a child came into care in their community, the church would work alongside the town’s foster parent association, and make sure that each child received a suit case. In fact, there are many such organizations across the United States that provide similar services. When a child comes into care, all too often he comes with a black plastic bag containing the few items in his possession, gathered together quickly by social workers and even law enforcement officers, in a hurry to collect both the child and his possessions in a quick manner. For older children in care, this black plastic bag can be an embarrassing symbol of all that is wrong in their life. Later, when a child in foster care moves, whether it is to a new foster home, an adoption family, or reunited with his birth family, the gift of a new suitcase can be a sign of pride, respect, and love. There are those times when foster parents will require a short term break from their foster child. This break may be the result of foster parents traveling on vacation, a temporary move into a new home, or that the birth children in the foster home require some much needed time with their own parents. This break is often known as respite care. Respite care may also be used simply because some foster parents are trying to prevent burn out, and need a break from their foster child. 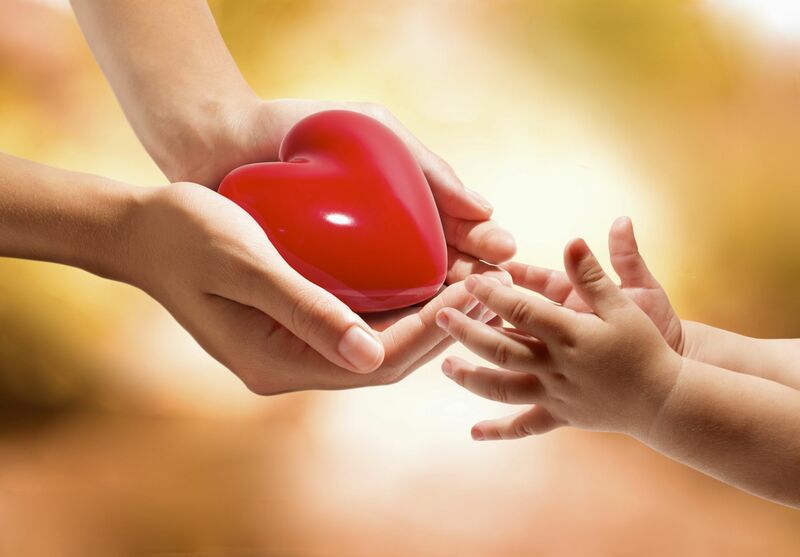 Other foster parents are often used for respite, as they are officially licensed to look after foster children. In some parts of the nation, there are those foster care and child welfare agencies that allow others besides foster parents to care for foster children during times of respite. A cooked meal; running errands; helping out at Christmas time and birthdays, donating to a foster parent fund; helping to pay for summer camps and field trips for foster children. These are just a few of the many ways that you can help a foster family in your own area as they care for the children in foster care in your home town. Without doubt, they will most likely appreciate and welcome your help and support, as you help to share the challenge of caring for children in need in their homes. There are a number of ways you can pray for a foster child and his foster family. You can also begin praying for the child even before he is placed into his foster home, praying that the transition is as smooth and as comfortable as possible. Prayer teams can pray for the specific needs of the child, also, and for any obstacles or hurdles that he might have in front of him. Along with this, you can also keep the foster family lifted up in prayer, as well, at all times, asking that they receive the strength, wisdom, and compassion they need as they minister to their foster child. Dr. John DeGarmo has been a foster parent for 13 years, now, and he and his wife have had over 50 children come through their home. He is a speaker and trainer on many topics about the foster care system, and travels around the nation delivering passionate, dynamic, energetic, and informative presentations. Dr. DeGarmo is the author of several foster care books, including the brand new book Faith and Foster Care: How We Impact God’s Kingdom, and writes for several publications, including Foster Focus magazine. Dr. DeGarmo is the host of the weekly radio program Parent Factors with Dr. John, He can be contacted at drjohndegarmo@gmail, through his Facebook page, Dr. John DeGarmo, or at his website.